I'm finally done with two of the three papers assigned to me before I left Asbury last month. The other one is not due until November 7th and I am excited to get started on that one, but for now, for the weekend, I'm going to relax and read some of the other books I picked up while in Wilmore. I picked up several books from The Francis Asbury Society including the one I started today - Heroes of the Holy Life. 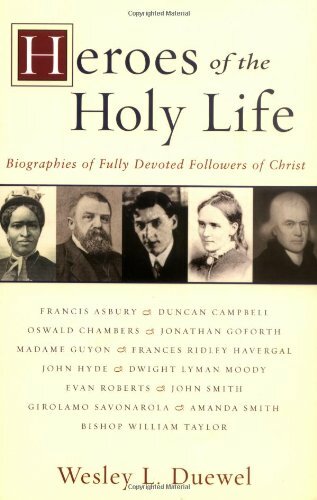 This book contains several mini-biographies of Christians who were deeply concerned with holiness and filled with the Holy Spirit. It's been an inspiring read for the two hours I've had it open. I recommend it. There is a lot of good to be gleaned from Christian biographies and this one is a good starting place. Your heart might get so captivated by one of the people that you read a fuller treatment of their lives somewhere else.